It is very important for freelance designer contracts to be present as it protects the right of freelancers. More so, it allows the freelance designers to still be paid accordingly should there be additional requests or activities that the clients would like them to do. Even if you are doing freelance work, you have to remember that you are allotting your time, effort, and expertise to come up with something that will be beneficial for another person or entity. This is why you have to create a freelance designer contract. There are several essential contract examples and templates that you have to be aware of so you can develop one that is highly-usable and beneficial in relation to your needs and protection. Continue reading this post so you can have more idea on how you can come up with an effective contract as a freelance designer. 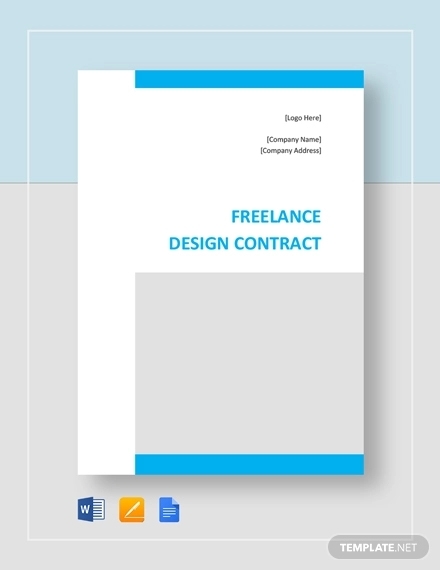 There are variations of contract templates that can be used by freelance designers depending on the factors that can affect the design transaction. Here are seven contract templates that can be useful in your transactions as a freelance designer.You may also see freelance proposals. A standard agreement for the design services that you can provide is done if you can perform more than one element of the design process. This means that the clients can book you for different design processes and activities like coding, website designing and graphic illustration as examples. This is one of the contracts that are most tedious to do as there are a lot of clauses involved within the document. If you are tasked to develop codes and test them for a website, then this is the contract template that you should have. This particular type of service agreement is focused on the coding of websites. Hence, you can easily charge more depending on other image-related designing activities that the client would like to ask from you. More so, this will allow you to focus charging fees based on the codes that it will take to develop the website and not just on the images or other designs present in the platform. You may also see freelance invoices. Doing a website from scratch is different from developing what is already in there. You need to have a web design development contract template if the task that you will be paid for is to better the overall look of an existing website. Sometimes, this can be harder than making a new website as there are already codes that can affect the entirety of the website look. Maintaining a website can be in different forms. This may be in a form of fixing bugs, developing the website layout based on trends or updating the content of the website itself. Hence, you need a website maintenance contract to ensure that you are aware of the deliverable expected from you by the clients. Most clients use work for hire agreement templates. This means that clients can actually develop a freelance designer contract if they want to hire one under their own specifications. This kind of service agreement is commonly used as freelance designers have lesser control especially when it comes to licensing and design ownership. You may also see commercial agreements. A design consulting contract template is more focused on the discussion with regards intellectual property and licensing other than anything else. Hence, what you do as a freelance designer is already considered as the client’s. The consulting works that you have done for the business within the time frame of the consultation is already under the client as they have the updates of the actual design items being developed. Focus on the graphic design activities that you are good or an expert on. Your expertise is what is being paid so you have to specify these items in the contract. A graphic design contract template is usually used by graphic artists, illustrators and other freelance designers who are more into design visuals rather than web design codes. Once design production has already been done, design materials and the like are already faced with copyright. This is the reason why you have to be aware of your ownership rights as a designer. A freelance designer contract can help you just with that. Listed below are some tips that you can use if you want to have an effective freelance designer contract as your output. You may also see tools for freelancers. Directly specify the price of your services. As a freelancer, it depends on you on whether you will have a standard rate or if you will be willing to work based on the budget of clients. Make a freelancer contract that can discuss this information as clients need to be aware on your demands in exchange of your services. Do not forget to have a clause for work scope and limitations. You have to protect yourself as a designer. There are some clients who request for additional works after the contract has already been signed. Ensure that you are paid based on the agreement and that you have the power to charge additional cost depending on the extra activities that the clients are requiring you to do. You may also see freelance writing works. Create a timeline that you and your client must honor. It is essential for you to have a direction when it comes to the usage of your time. As a freelancer, there are different works that you can do and you need to have balance when it comes to doing all your projects on the specified time. Make sure that you will be specific and precise when developing a contract. You have to be aware that there can be different interpretations of agreements which is why you have to make a contract at its simplest form. You may also see article writings. Have a list of the specific needs of the client. This can include their taste preferences and desired design aesthetic. This way, you can minimize revisions and other changes due to certain client comments in the future. Always have the terms for late payment. Since you are a freelance designer, customers think that they can easily control you especially when it comes to payments. Prove them otherwise by having a late payment receipt may it be for a deposit or for any specific payments that are scheduled on a particular date. 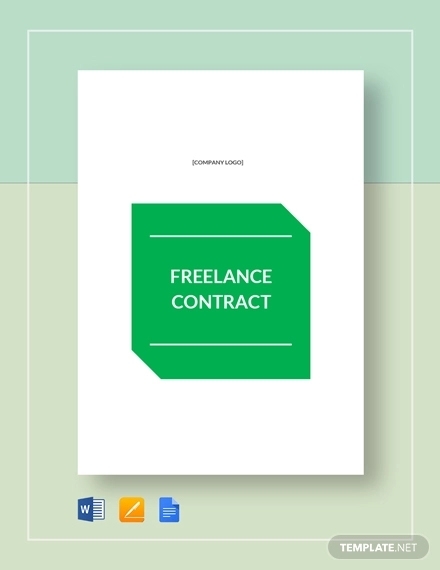 It will be best if you can create or develop your own freelance designer contract. However, referring to existing templates can help you format the document in a more professional and formal manner.Have a service contract checklist that can guide you in making a contract for yourself as a freelancer. Always update your contract based on the changes in your services or fees and select the proper template to use depending on your expertise as a freelance designer.